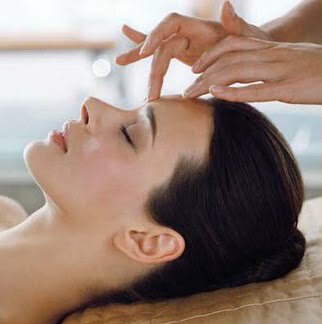 You can make an appointment for a facial...or you can try the Elemis Tri-Enzyme Resurfacing Serum, available at Bliss Spa. Is it worth the $180? If you want a luxurious skin salvaging treatment and you haven't given your skin the attention it deserves lately, you might say yes. If you can't fathom spending that kind of cash on any sort of beauty treatment, try it at home with the products listed below. Either way, it's a great way to smooth, refine and rejuvenate your skin. The Tri-Enzyme Resurfacing Serum is a clinically proven gentle facial resurfacing serum that has a non-abrasive peeling action that smoothes the skin's surface by up to 91%* (Independent Clinical Trials 2006). As natural cell renewal is stimulated, imperfections appear diminished and the appearance of fine lines and wrinkles are reduced. I was fortunate enough to have it professionally administered by the expert staff at Bliss 49, tucked away in the W Hotel on Lexington Avenue. After slipping into a luxurious spa robe and unwinding in the relaxation room, an esthetician escorted me into a private room where my facial began. A medley of intoxicating essential oil treatments, soothing collagen serums, resurfacing peels, and moisturizing masks ensued while steaming hot towel applications and scalp, hand and foot massages were administered in between. Each Elemis product smelled better than the one before--if you like that aromatherapy/essential oil/ah-spa scent. The best part: When the facial was completed, I felt well-rested and looked it too. My skin felt smooth and rejuvenated, not raw or red like the end result of other resurfacing treatments. Go to www.timetospa.com to purchase products or www.elemis.com for more info.